I absolutely love that I get the chance to capture Anita and Nick’s love story. Anita and I both went to Albion and played volleyball together, so getting the chance to reconnect with her has been so much fun. Anita is hilarious and I knew she would make being in front of the camera so much fun! And if Nick is marrying Anita I knew he had to be a good time, too! 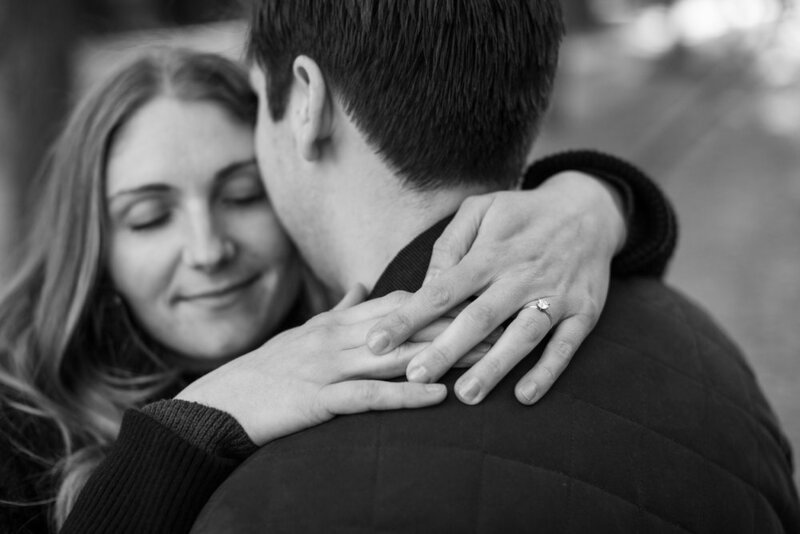 I met Anita and Nick for their engagement session in Detroit. We had chatted about a few locations and I love that they decided to go with Midtown. It has such a charming feel and since they enjoy hanging out in this neighborhood it made it all the more special! The city was showing off for us this evening- with the changing leaves and the perfect setting sun. We wandered the nearby neighborhood and I just love the way the city made the perfect backdrop for these two. So we have this beautiful little neighborhood and then we have Anita and Nick together who are absolutely perfect for one another. Like most guys, Nick was a little unsure of this whole engagement session thing. Anita had him laughing the whole time and by the end Nick was saying how much fun it was! If the sun hadn’t set I think we could have shot for another hour! Let me tell you men- I am not joking when I tell you that you will enjoy your photo session! An excuse to laugh and snuggle with your better half- yes please! 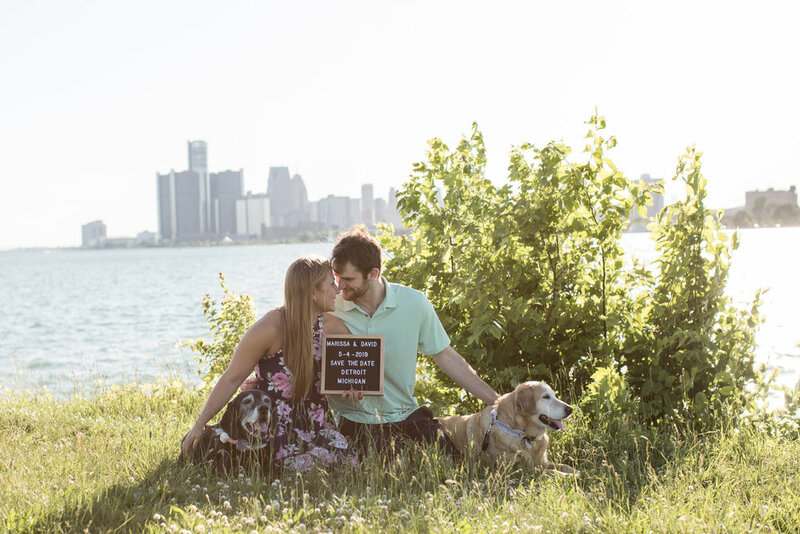 Anita and Nick, I am so excited to capture your downtown Detroit wedding next fall! Until I get to hang out with you all again I will be smiling as I scroll through these pictures and dreaming about all of the fun we will have in November! 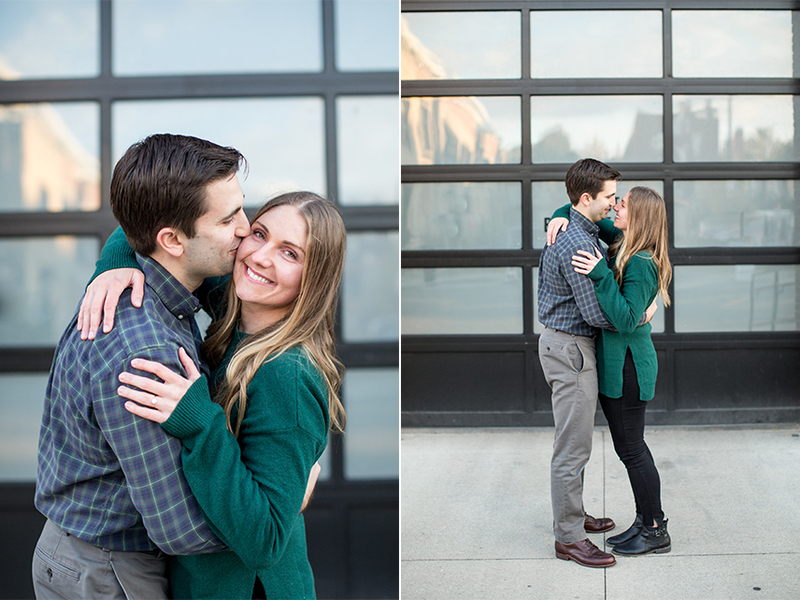 I had so much fun spending the evening in Detroit with David and Marissa for their engagement session. We met for coffee a few months back and hit it off immediately. They are fun loving, caring and totally in love- my kind of couple! I loved spending more time with them and getting to heat more about their story. We started their session on Belle Isle and finished at the Z Parking lot at sunset- it doesn't get more epically Detroit than that! These two love their pups, so of course we had to include them in the pictures. It can always be a little comical wrangling dogs during sessions, especially when there is more than one- but these two cooperated (and I think even enjoyed all of the attention) even in the summer heat. It was so sweet to see how much these two love and care for their pup children! Towards the end of their shoot I was chatting with Marissa and David about the photo session. I asked them if it was what they expected, if they felt more comfortable in front of the camera, and more prepared for their wedding day portraits. They both shared a resounding yes for all of those things. Then Marissa also shared that this was really the kick off to their wedding celebrations. They had done lots of the big planning, but none of the fun celebrations had started yet. She was excited to have something tangible to say okay it's here, we get to start celebrating! 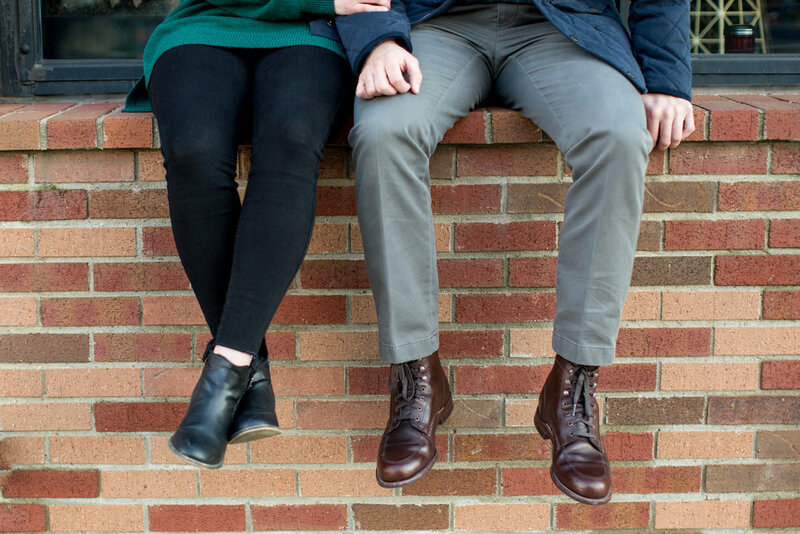 I thought that was such a fun way to look at engagement pictures. The first time to say- wow, look at us, we are REALLY getting married! I am already looking forward to celebrating that day with you this spring, David and Marissa! I met Liz for coffee a few months back to chat about her and Matt's winter 2018 wedding. The moment we sat down at our little, local coffee shop I knew she and I would become quick friends. 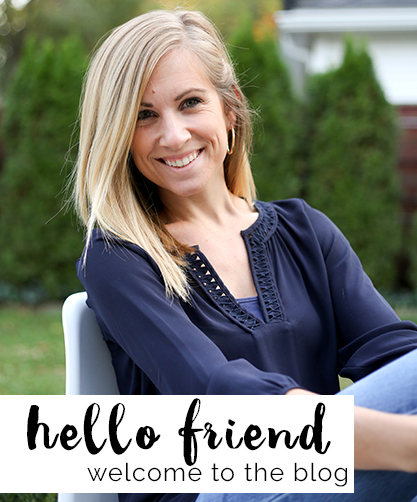 The conversation was natural and easy- as we chatted about life, wedding planning and travel. I was so excited when right there on the spot she let me know she would love to have me photograph her and Matt's big day. 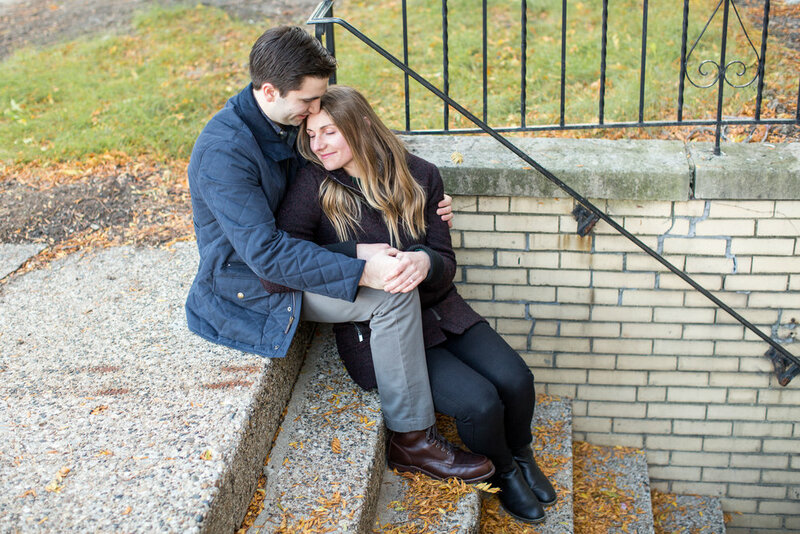 Last month I met up with these two at their downtown Detroit apartment for their engagement session. Matt quickly made me feel as welcomed and comfortable as Liz did at our first coffee meeting. These two have so much fun together, and I couldn't help but notice how comfortable and safe they seemed to feel when they were close to one another. Not to mention, I was so thankful for the way Matt offered to serve me during their session- offering to carry my bag and step stool since I have pretty much perfected my pregnancy waddle these days.